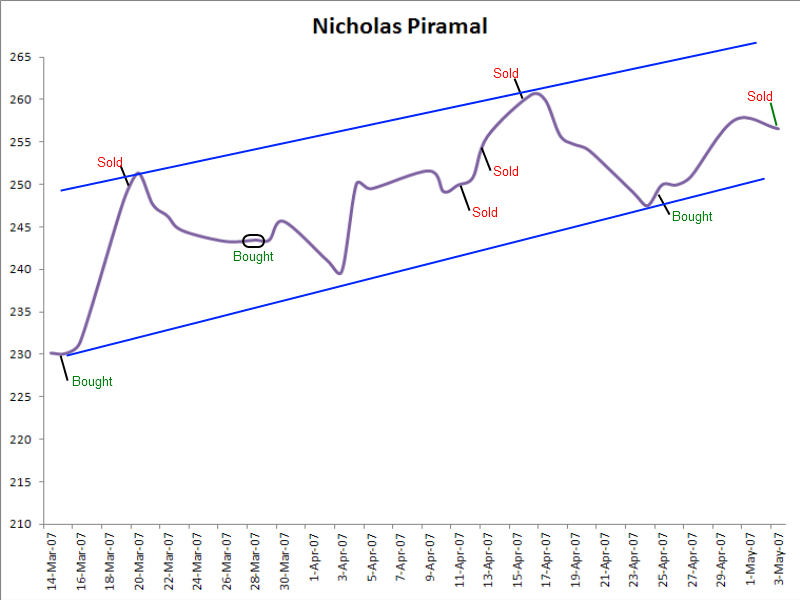 Home » Basic Concepts of Stock Analysis » Why I Left Technical Analysis And Never Returned To It! 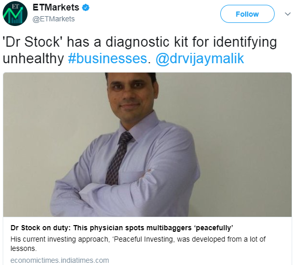 I started investing in stock markets in 2006 by learning technical analysis, which I continued to follow for 2 years until I realized that I was going in a wrong direction. It took a few huge lost opportunities, a lot of introspection, some unlearning and a lot of new learning before I realized that fundamental analysis is the direction that I should follow.Since that day, I had never found any occasion to doubt my approach. Fundamental investing was the approach; I should have followed since the beginning. However, better late than never and I could finally start my dream journey to financial independence (like Jim Rogers). Both are excellent books that I always recommend to anyone who wishes to learn technical analysis. I read them in detail and learned about many technical indicators. 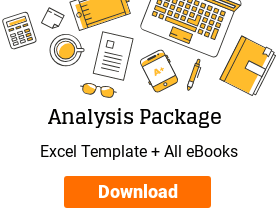 I found the sources where I could get the charts for doing technical analysis of Indian stocks. I ended up downloading the historical data of all the stocks being traded on Bombay Stock Exchange (BSE) and National Stock Exchange (NSE) on my computer. I spent countless hours finding stocks where charts could tell me when the next breakout (sudden rise in stock price) is going to happen. Lucky enough, I could find quite a few of them. Life was going on fine. I was making money in some trades and losing in some of them. 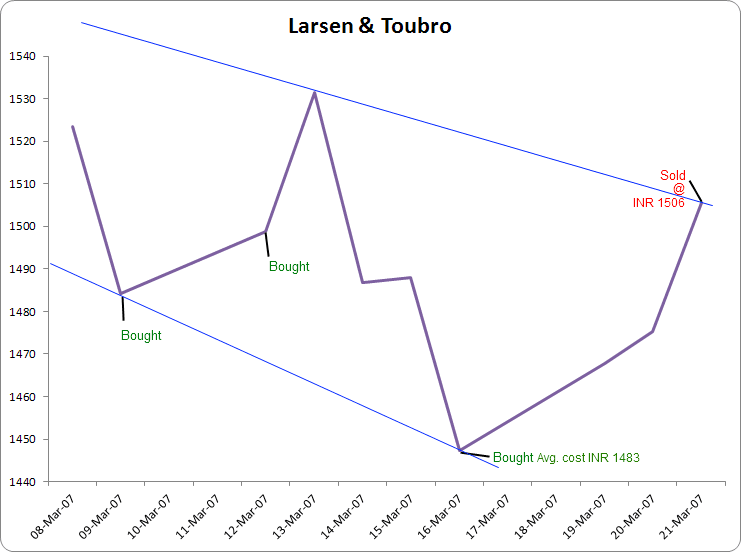 However, I got the shock of my life when I accidentally revisited L&T in November 2007. Oh My God! The stock was trading at INR 4,500. Three times from where I had sold it in March 2007. I was dumbstruck. I stood staring at this chart feeling like a fool. Here was a stock, which I had in my hands at INR 1,500 and within 8 months, it had given 200% returns. That is an IRR of 420%! With my eyes popping on the screen, I had no answer to give myself. I could never have captured this rise from 1,500 to 4,500 by technical analysis. Every tiny rise and fall on the stock line in the chart gives a buy or sell signal in technical analysis. There are more than 50 of them in the above chart over 8 months. I needed to get all of them right, to travel the journey from 1,500 to 4,500. This required an accuracy of better than six-sigma. To top it all, the meteoric rise of 50% from 3,000 to 4,500 levels within 10 trading days put the final nail.In technical analysis, I had been keeping stop losses and target prices in mind. These rarely lie beyond a few percentage points from the purchase price. How on earth could I have captured this gigantic rise in a trade? I would have sold the stock much earlier, the day I got 5 or 10% return. Something was not right. Whatever I was doing, I was missing something. Something that was very important! I had spent months reading authentic books about technical investing. I had followed all advices of Dr. Elder Alexander, diligently. Then what was I missing? Lucky for me, then, I came to know about fundamental analysis. 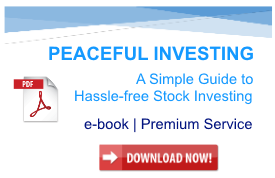 Benjamin Graham was the God of this field and The Intelligent Investor, its bible. I spent weeks going through this book. Every day of reading felt like an enlightenment. Why did I not come to know about this person before! I started to find answers to all my questions. I came to know what I was missing. I was a value investor gone astray. 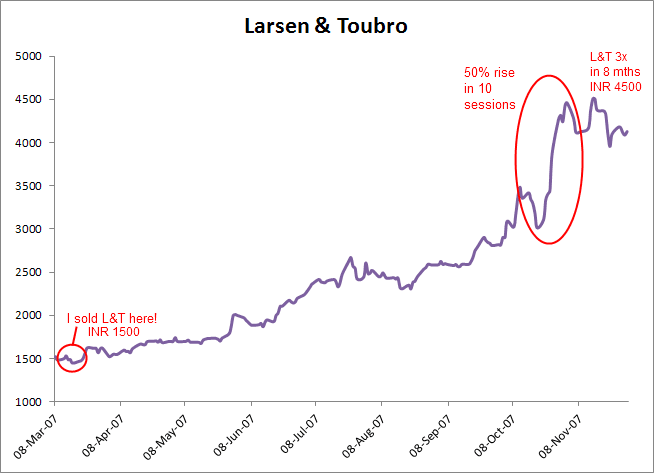 All that was needed to capture the fabulous rise of L&T was – “Sit tight and do nothing”! Find a good stock and stay invested. It was this simple! 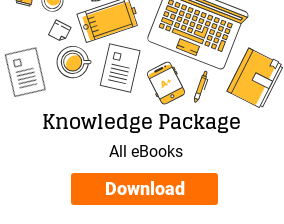 Armed with this new knowledge, I sat foot on the world of value investing. I started studying fundamentals of all the stocks I came across. Low P/E was the key. Never to buy beyond P/E*P/B of 22.5 was the mantra (the gospel of Ben Graham). 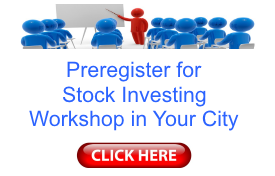 I realized that Indian stock markets are full of gems for value investors. It was mid-2008 and Lehman was about to crash. Almost every stock was available very cheap. I chose three stocks for myself: JK Lakshmi Cement Limited, Allahabad Bank Limited and Hindustan Petroleum Corporation Limited (HPCL). Buy right and sit tight, was my new mantra. Graham had now taught me not to lose heart in falling market. In August 2008, I bought JK Lakshmi at INR 80. Within a month, Lehman crashed. The entire world crashed with it. JK Lakshmi was seen trading at INR 32. However, with full faith in Graham, who had survived The Great Depression (1929-32), I dug my heels in. The prices kept on falling and I kept on buying. Graham had said that all gloom would finally end. The Intelligent Investor, though written in 1949, has stood the test of time. In March 2009, the markets started to rise. I was holding JK Lakshmi at INR 55. The prices started rising and my losses kept on narrowing. In just over a month, I was at breakeven. I told myself to hold my emotions and not to do the same mistake twice (remember L&T!). This time, I could capture all the gains that I had missed 2 years back in L&T including the meteoric rise of 80% in 21 trading days. The only thing different from last time was that this time I was following fundamental analysis instead of technical analysis. 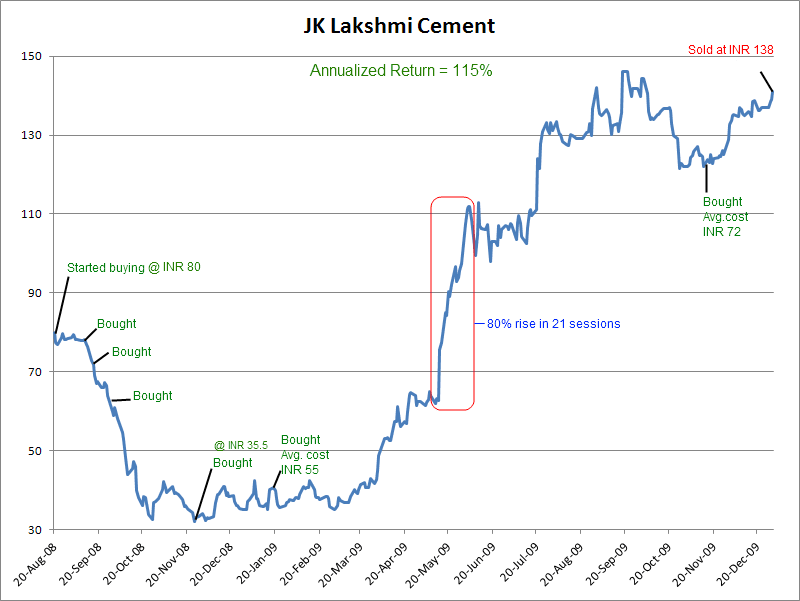 The price rise did not stop at that, I sold JK Lakshmi at INR 138 (split adjusted) in December 2009. I sold it not because, I did not like the stock or wanted to book profits, but because I needed money for some personal purpose. With fundamental analysis, my learning cycle was complete. I had found what I wanted to follow in stock markets. Since then, I am a fundamental investor following value investing. What according to me are the features of fundamental investing vs technical investing? Technical analysis keeps an investor on a treadmill. You can never relax. Carrying open positions requires guts. No one knows how markets are going to open up or end at any day. Fundamental investors sleep peacefully at night. Technical analysts rarely capitalize on big moves. There is so much noise in indicators, everyone giving either buy or sell signal all the time. In fundamental investing, you buy once and sit tight. It lets the large gains come to you. I feel safe to say that an investor nibbles in technical analysis whereas she grabs a big bite in fundamental analysis. In technical investing you need to get most of your decision right (>50%) before you make some money. Significant money is required to cover cost of live data feed, brokerages and losses of wrong trades. In fundamental investing even 10 stocks chosen well over one’s lifetime can make one millionaire. Warren Buffett is a live example. He found Coca Cola, Gillette, Wells Fargo, Washington Post and stayed invested with them. Technical analysis is more time consuming. An investor has to continuously keep updating the charts and analyzing new patterns, which keep on appearing, whereas in fundamental analysis, once a quarter reviews seem sufficient. I believe that fundamental analysis is ideally suited for any investor who has a daytime job and wants to generate wealth by investing in stock markets. I have tested both the waters and I do not think that I would ever want to turn back to technical investing. I would want to know about your experiences of following fundamental investing or technical investing. Which method do you prefer? If you have learned both, then which method, would you recommend to other investors? You may put share your inputs in the comments below or contact me here. 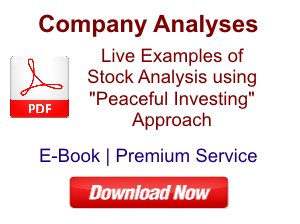 I have used historical data of different stocks from Yahoo Finance for this article. You may read my review of the book The Intelligent Investor by Benjamin Graham here.